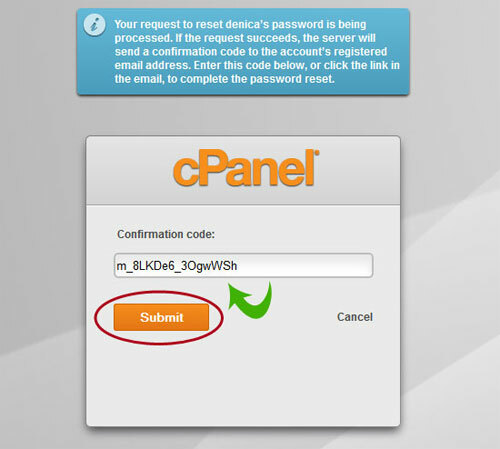 NOTE: The following instructions apply only for our Linux Shared & Linux Shared Reseller plans. 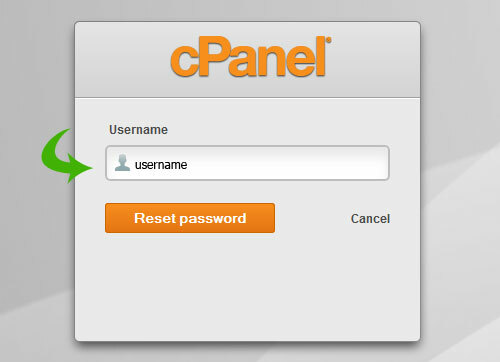 This tutorial shows you how to reset your cPanel password in case you have forgotten it. We also recommend that you check your initial account activation email (Welcome email) which should contain this information as well - before you proceed your password reset. 1. 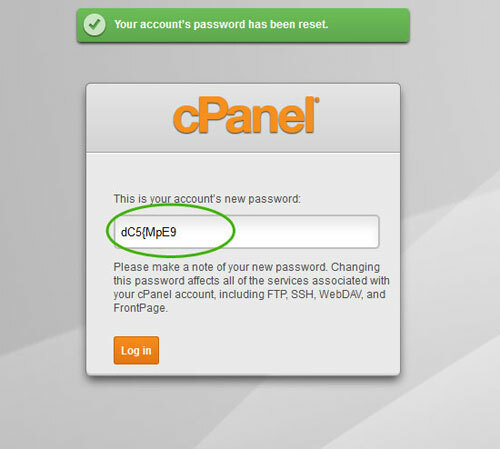 On the cPanel main login page click “Reset Password”. 2. 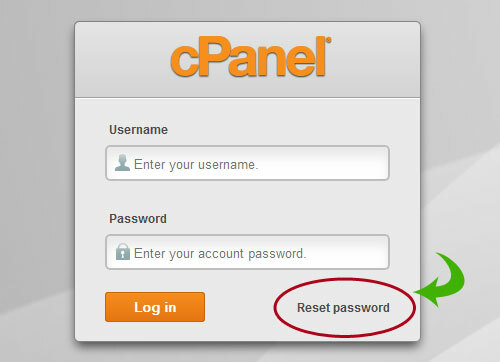 You will be asked to enter your username than click the “Reset Password” button. 3. Now check the email associated with this account. You should receive a confirmation code. You can either leave the page open and enter the confirmation code or follow the links in the email to reopen the window. Make sure you check the junk/spam folders of your email in case you do not receive a message within few minutes. IMPORTANT: Please, make sure that you use the same computer, and browser to reset your password. The password link in your email needs to be accessed from the same browser/session you used to click on the "Reset" password button. If you use different computers/devices, or browsers the password reset will NOT work. The system will allow you to request up to 3 reset requests, afterwards it will not allow you to use it for some time, and no new confirmation emails will be send out. You will be locked out of this feature. 4. Paste the code and click “Submit”. 5. A window will appear where you can setup your new password. If you experience any difficulties, please contact our support.